At Bottlinger Law L.L.C., one of our jobs is to bring lawsuits against doctors and hospitals who mistreat their patients. It’s tough to do, and requires more specialized, scientific knowledge than a personal injury claim over a car collision. But we consider is a necessary part of keeping people accountable for their actions, whether they have a medical license or not. 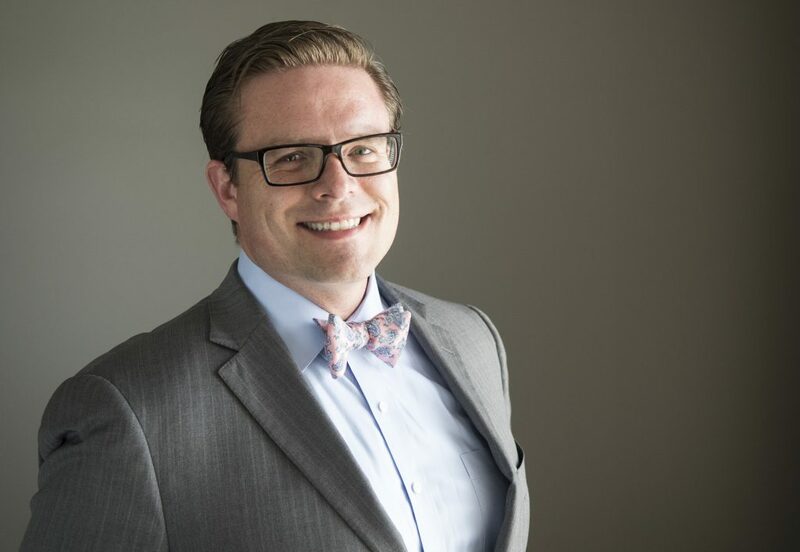 Our founding attorney, Jason Bottlinger, recently sat down to answer some common questions about medicine goes wrong in Omaha. “Medical malpractice” refers to any case that involves whether a medical professional did something they shouldn’t have done, or failed to do something that they should have done. We call that the “standard of care.” Every medical professional is supposed to provide care that is as good or better than another reasonable physicians would provide in that situation. When a doctor, or a nurse, or a facility does not render the same care that a reasonable provider would, there may be a case of malpractice. Between 65,000 and 200,000 people are killed each year in medical “accidents.” The Civil Rights Justice Group examined data and found that only 2.9% of victims of malpractice end up filing lawsuits. In addition, for every one mistake recorded by the hospital, four more mistakes ending in injury or death to a patient go unrecorded. How do you look at a potential malpractice claim? When evaluating a medical malpractice case, we evaluate “What should the doctor have done?” or “What should the doctor not have done that the doctor did?” And from there, we evaluate whether the doctor violated that standard; whether they broke the rules. And if they did, we look at what harm that caused the patient. We have to prove the standard of care—what the doctor should have done. We have to prove that the doctor didn’t do what they should have done. And then we have to prove what that failure caused. To do that, we enlist the help of medical experts from across the country, who are specialists in the area of practice at issue, and we evaluate whether we can establish that the standard of care was violated, and if so, if we can prove what that violation caused. What kind of malpractice cases has Bottlinger Law L.L.C. handled? We’ve handled a variety of medical negligence cases. Situations where a doctor failed to order precautionary care that would have kept a patient safe; cases where a doctor or someone like a doctor, like a physician assistant or an advanced practice nurse, didn’t refer a patient for further evaluation. For example, failure to refer a patient for colonoscopy or further diagnostic evaluations of what’s going on inside the patient’s body, which could have revealed critical conditions, like cancer, that were allowed to fester and evolve over a number of years, leading to a much worse condition for the patient. We’ve handled situations where medical professionals proceeded with medical procedures when it was not safe to do so; when all of the objective indicators were that this surgery should be postponed—it should not be performed now, it is more dangerous for the patient to have the surgery now; just wait—and they didn’t. And they exposed the patient to harm unnecessarily, and the patient did in fact suffer serious, life-threatening harm because the doctor didn’t do what the doctor should have done. Other cases involve actual errors during surgical processes, as well as failures to provide appropriate post-operative care. Often, patients are discharged to their own homes after they’ve had critical medical procedures and they rely on nurses, who come into their homes to provide appropriate care and to report to the doctor when the patient’s condition is changing. When the nurses don’t do that, the doctors can’t do their jobs, and the patient’s health suffers. A lot of these cases involve situations where the medical professional has exposed the patient to unnecessary risk. Medical professionals should keep their patients safe, and when patient safety is not the number-one priority, people get hurt. Those are examples of the kinds of cases that we handle, that we evaluate, and that we walk our clients through every step of the way. Nebraska has about 27 paid medical malpractice claims per 1 million residents. For comparison, New York has 85, and West Virginia, which is the closest state to Nebraska in terms of population, has over 60! The reason for this is uncertain, since Nebraska’s “cap” or limit on medical malpractice lawsuits is $1.75 million—much higher than many other states with far more claims. What should you do if you suspect medical negligence? The only way to know if you have a valid claim is to speak to a lawyer in your area, who handles these kinds of cases. Doctors, nurses, and hospitals make mistakes all the time, but to have a strong claim, the mistake should be a breach in the accepted standard of care—and the patient suffered real injury, physical or emotional, because of it. To set up a free consultation with Bottlinger Law L.L.C., please call (402) 505-8234. Jason has more than ten years of direct experience dealing with medical malpractice claims in the Omaha area. Our firm also offer contingency free arrangements, which means if we believe you have a case, we’ll represent you for no upfront cost, and only take payment when we get you a fair settlement or jury verdict. There is a deadline for filing a malpractice claim, so don’t delay. The sooner you talk to a dedicated attorney, the sooner you may be able to start recovering fully.